The responsibilities of membership may be divided into the fulfillment of three distinct areas of commitment to Christ and to His Church: (1) our liturgical/worship fulfillment (regularly), (2) our stewardship fulfillment, and (3) our canonical fulfillment. In order to be a “member in good standing” at St. Demetrios, each person must have fulfilled all three aspects of his/her total commitment to the Church. The fulfillment of our liturgical commitment to the Church requires our regular participation in the services and sacraments of the Church. Without such a commitment to participation in the Church’s life, one cannot be a Christian in any meaningful sense of the word. As our Lord said, “Unless you eat the flesh of the Son of Man and drink His blood, you have no life in you . . . he who eats my flesh and drinks my blood abides in me, and I in him” (John 6:54, 56). It is therefore essential that each person commit themselves to frequent participation in the Holy Eucharist (Communion), as well as regular participation in the Sacrament of Confession. Any questions regarding one’s participation in these sacraments should be referred to Fr. Gary, or to one’s own spiritual father. Furthermore, it is important that each person commit themselves to participation in the other services of the Church, including Sunday morning Orthros, feast-day liturgies, and the other regular and occasional services offered by the Church, as well as following the Church’s calendar of fasting and feasting. Fulfillment of our commitment to Christ and to the Church also requires the stewardship of our resources in a manner which follows with the precepts of the Gospel. This includes a commitment on our part to support the local Church through the offering of our financial resources as well as of our own unique gifts and talents. 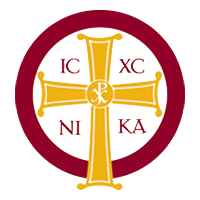 In order to be a “member in good standing” of St. Demetrios Greek Orthodox Church, each person or family must make a financial commitment (pledge) to the church on an annual basis. and fulfill that commitment throughout the year. Members are encouraged to use a “percentage giving” method, whereby each person or family sets aside a certain percentage of their income for the church. It is understood that situations change and unforeseen events arise; a pledge may therefore be amended by simply calling the Church office. It should be emphasized, moreover, that our stewardship commitment goes far beyond financial matters; it is rather a commitment of the totality of life to God. Stewardship, therefore, also includes volunteering to serve on church committees, helping to organize and execute church functions, singing in the choir, teaching Sunday School, cleaning and maintaining the Church, and other forms of ministry; it is engagement in the total life of the church. -January 5 (the eve of Epiphany). -During the last week before Great Lent begins, no meat is permitted, although dairy products may be eaten even on Wednesday and Friday. -Great Lent and Holy Week. -The Apostles’ Fast: Monday after the week following Pentecost up until June 29. -The Fast of the Dormition (Kimisis) of the Theotokos: August 1-14. -The Beheading of St. John the Baptist: August 29. 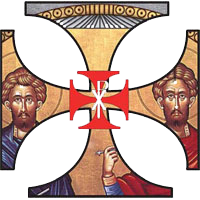 -The Elevation of the Holy Cross: September 14. -The Nativity (Christmas) Fast: November 15 - December 24. 5. arrive on time for the Divine Liturgy (at the latest, before the reading of the Gospel). The Orthodox Church firmly believes in the sanctity of the marriage bond. St. Paul refers to marriage as a “great mystery,” likening the relationship of husband and wife to that of Christ and the Church. Our Lord defended the sanctity of marriage, justifying divorce only on the grounds of unchastity. For this reason the Church is deeply concerned about each marriage and seeks to reconcile differences arising between husband and wife in the normal course of life. The Church also realistically recognizes that some marriages may become completely unworkable, causing more damage than good, and thus does allow for divorce. Whenever serious difficulties arise threatening the dissolution of the marriage, the troubled couple should seek help from the Church first by contacting the priest rather than come to the Church when things are so bad that nothing can be done. Only when the marriage is seen by the Church to be completely unsalvageable is consideration given to divorce. Although a civil decree of divorce legally dissolves a marriage in the eyes of the civil authorities, it does not dissolve a marriage in the eyes of the Church if the marriage was blessed in the Orthodox Church. The Church is under no obligation to grant a divorce just because a civil court granted a civil divorce. 1. … a marriage is entered into by force, blackmail or false reasons. 2. … one or both parties is guilty of adultery. 3. … one party is proven to be mad, insane or suffers from a social disease which was not disclosed to the spouse prior to the marriage. 4. … one party has conspired against the life of the spouse. 5. … one party is imprisoned for more than seven years. 6. … one party abandons the other for more than three years without approval. 7. … one partner should be absent from home without the others approval, except in in stances when the latter is assured that such absence is due to psycho-neurotic illness. 8. … one partner forces the other to engage in illicit affairs with others. 9. … one partner does not fulfill the responsibilities of marriage, or when it is medically proven that one party is physically impotent or as the result of a social venereal disease. 10. … one partner is an addict, thereby creating undue economic hardship. 4. 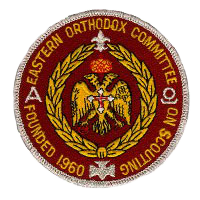 A money order or cashier check in the amount of $250 made out to the “Greek Orthodox Metropolis of San Francisco” for the processing of the Ecclesiastical Divorce. The four items, along with the priest’s report as to the results of his efforts to reconcile the couple, are then submitted to the Metropolitan. The Metropolitan reviews the file, and if there are grounds for an Ecclesiastical Divorce a date is set for the Ecclesiastical Court to be held. If the Ecclesiastical Court finds sufficient grounds for divorce, the Metropolitan will issue the official decree. For more information concerning Ecclesiastical Divorce, you should contact the parish priest.